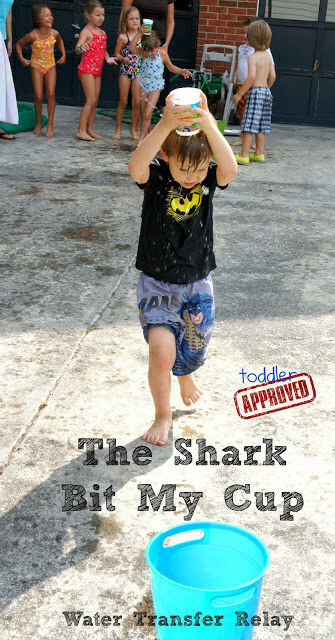 Just Add Water for Summertime Fun! Beat the heat this summer with our essential list of water activities to blast away summer boredom. Just add water—and a little imagination—to get started. 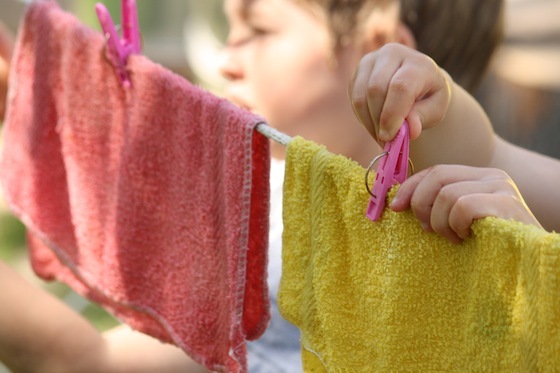 Laundry Day: Develop hand-eye coordination and fine motor skills with: rope, clothespins, tub of water, washcloths, and soap. Practice wringing out wet items and hanging them up to dry. 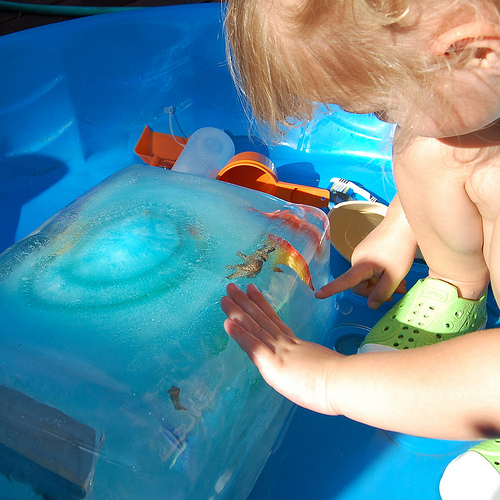 Dino Dig: Freeze toy dinosaurs, rock, seashells, etc., in a block of ice. Melt with warm water, salt, or chip away with kid-sized utensils. Drip, Drip, Drench: Just like Duck, Duck, Goose, only using a sponge as you go around the circle, cooling everybody off in the process. 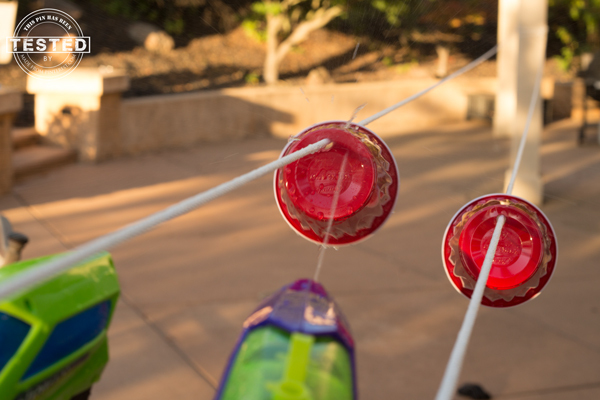 Squirt Gun Races: Two long strings, two plastic cups, and two water pistols is all it takes for this fun, fast-paced race—spray water in the cup to move it along and win the race! Water Painting: Use paint supplies—brushes, rollers, trays—and some water to paint sidewalks, steps, fences, or anything else that needs a new coat of paint—er, water. 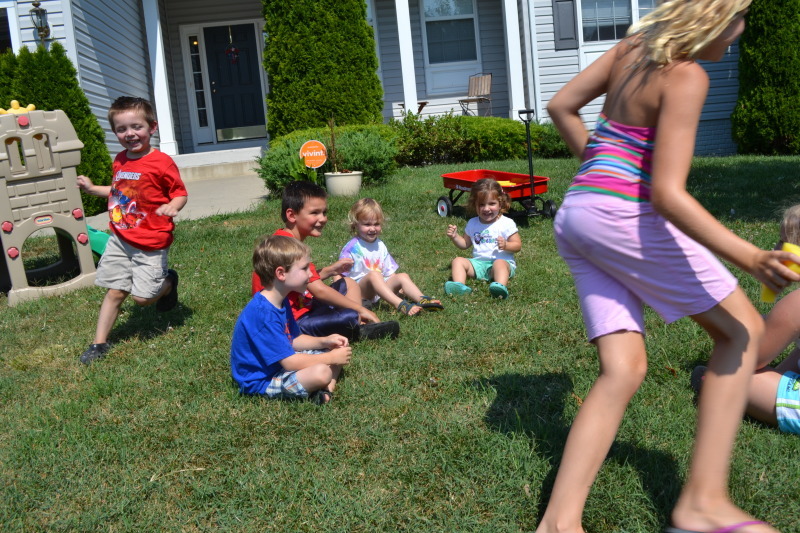 Water Relay Race: Balance one cup of water at a time on your head and race to fill a bucket as fast as you can. Shark bites (tiny holes in the cup) add to the challenge: The longer it takes, the more water you spill!